Vybz Kartel has reacted to the fallout with his fans for dissing black women in a blistering post on Instagram yesterday. 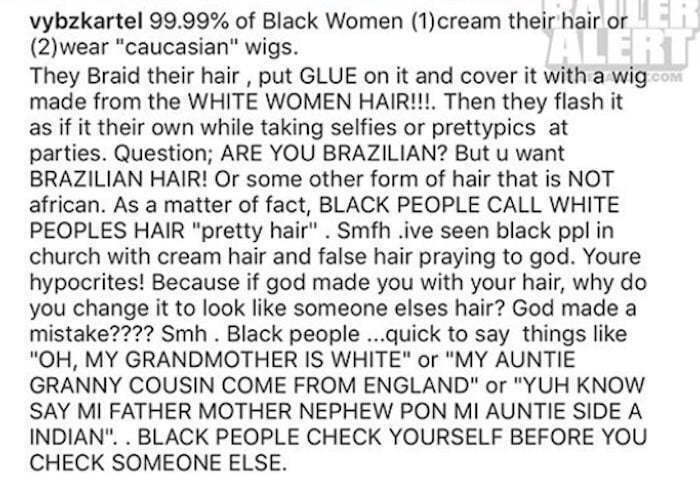 Vybz Kartel has been getting backlash from his female fans after he fired off a scathing take-down of weave wearing black women on IG. The deejay made the post a day after some of his fans hate on his new white girlfriend. Some folks think that the incarcerated Gazanation boss went too far in his criticism of black women even if some fans unjustly criticized his girlfriend. “Good night my Gaza ladies unu vex wid me but I’ll always love you,” Vybz Kartel wrote on IG. Kartel has since deleted the post that caused the backlash and promises his fans some new music but some of them have expressed their disappointment, saying they’re not interested in his music right now. 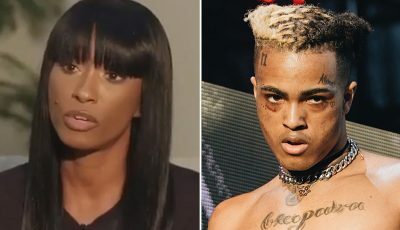 “World Boss me love yo music but you rub me the wrong way with that statement, you couldn’t have been more wrong and more ignorant, sorry but don’t want to hear your music right now,” one fan wrote. “Kartel must be drinking some rat poison in prison or something kmt, 99.99% though like seriously where you even get that number, well you know what am 99.99% sure that I won’t be listening to your music,” another fan wrote. 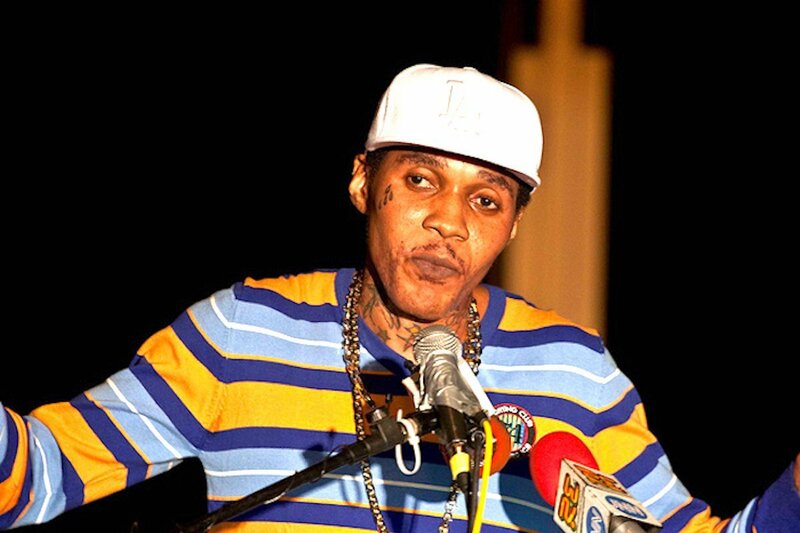 Vybz Kartel case hearing scheduled for Thursday was postponed to next month, we will update you on that development.